Lipstick-like touch with press powdered-like cashmere lips! With a neat and non-sticky application. More vivid than a lipstick! 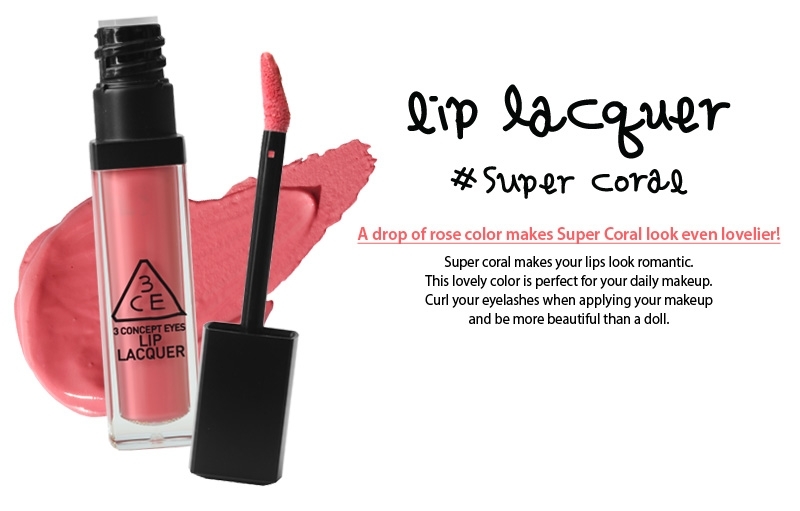 This lip product's color shines through as it is and you can express your mood through the color of your choice. Cashmere texture that leaves soft finish! 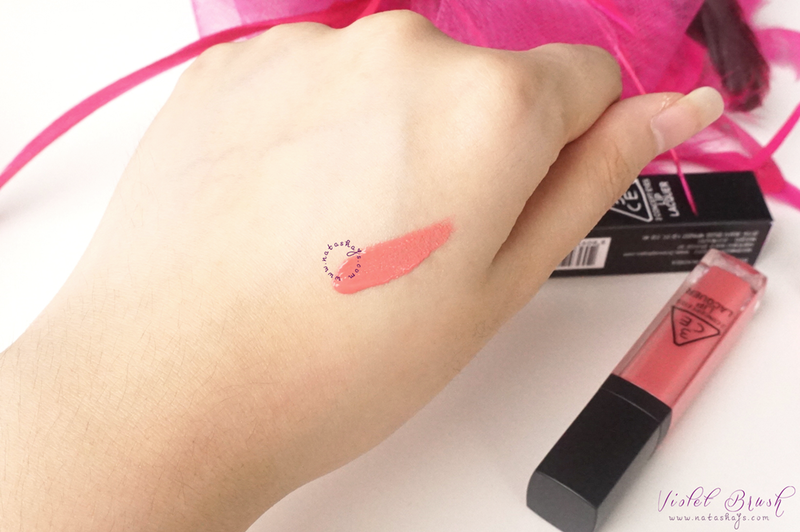 This lip-hugging cashmere gel based texture feels creamy when being applied while leaving a soft and matte finish. You'll have non-sticky lips with long-lasting application while having a moisturized and light feeling. You can try various colors with this easily mixable cashmere gel texture. 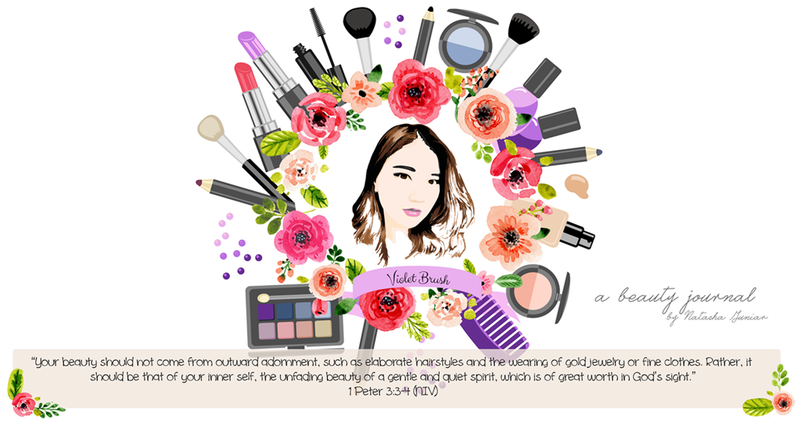 You can use it as a base color or point color for a natural gradational look. I have always loved the packaging of 3CE products. It's nothing fancy yet very elegant. 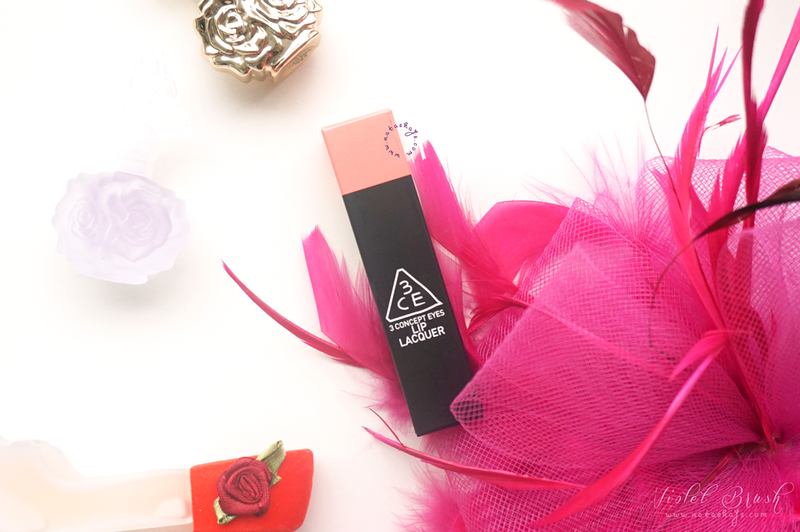 Without any exception, 3CE's Lip Lacquer also comes in an elegant black packaging, the usual of 3CE. However, the information printed on the box is pretty much lacking. There's almost no information on the box and no information in English at all. The cap was sealed upon purchase so rest-assured, your product is guaranteed to be new it the sealing sticker is still attached. 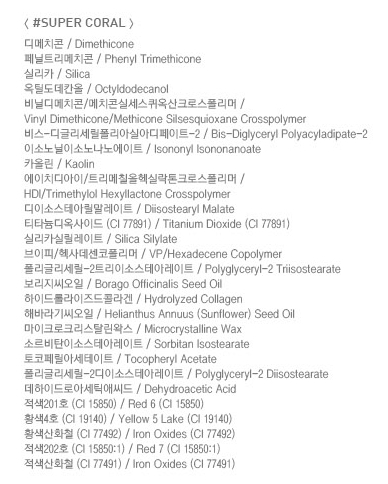 However, just like any other Korean products, the product information are all written in Korea. You need to search up the product if you want to know more. I'm hooked with the applicator of 3CE's Lip Lacquer. 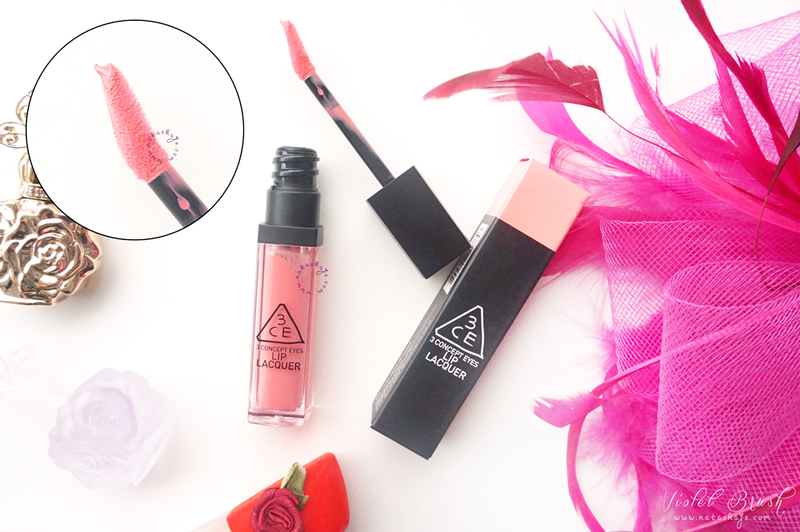 Its flexed form helps me to apply the lip lacquer much easier. It also has slightly pointed tip to reach narrower area of the lips. 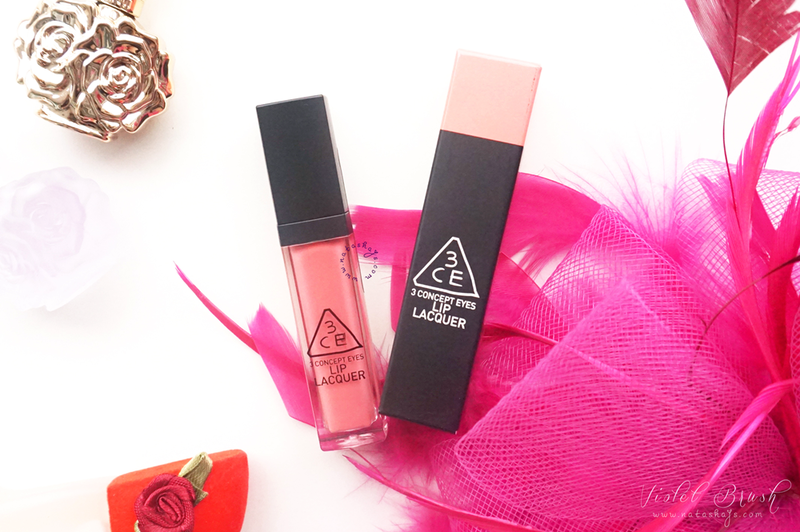 Just like any other liquid lipstick, 3CE's Lip Lacquer is very creamy. It doesn't smell and I love its color that is suitable for my skin tone. I prefer the stain color, though. 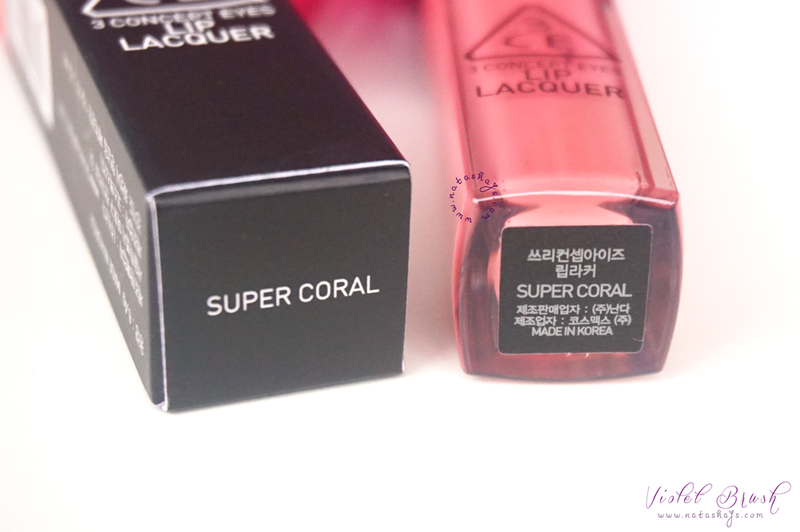 3CE's Lip Lacquer in Super Coral is actually pretty pale compared to my usual lip color selections. However, it doesn't make my entire face looks pale. One thing that you need to pay attention, you need to ensure that your lips are moisturized before using this lip lacquer or this will emphasize your chapped lips. On the contrary, it keeps the moisture well on the lips upon usage. Once applied, it will feel creamy but it will become powdery when set. I would say that the lasting power of 3CE's Lip Lacquer is pretty standard. It stays about 4 hours without eating and will immediately go after eating. Since I said I like the stained color more, I usually blot it first using a piece of tissue, though it will shorten its lasting power. I would love to try another shades. I tried the lip lacquer and amazed by its staying power. I think it's kind of normal for a lipstick to fade away after eating :D Love the shade that you picked!